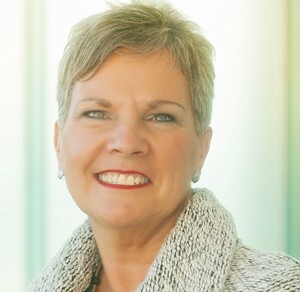 Karen is your connect the dots coach…connecting YOU to your possibilities! Hello…thank you for taking the time to read about my areas of expertise. I am an Image Consultant, Reiki Master, relationship expert, workshop leader and soon to be author of the book “Set Your GPS to Love.” I have been a dedicated journaler and meditator for over 20 years. I love working with women 50 years and over, to assist them in reclaiming their love of self, their passion, inner persona and playfulness of life! It starts with dressing to honor oneself through colour, style, dressing for body type and bringing out a message to the world about the person inside. I help women to dress with confidence and ease. I believe self-love is the starting point for all healing and forward movement toward building confidence. I have a background as a teacher for 30 years, including teaching children with learning disabilities and Autism. My combination of teaching, entrepreneurial skills, business and life experiences, has led to designing programs that enrich and empower my clients. Adding my journaling skills, image consulting, Fashion Feng Shui and meditating…makes for unique classes! I am vested in my clients’ success and work along side them until they can see their highest potential too. Women Economic Forum (WEF) fosters conversations, community, connections and collaborations among women worldwide. The enabling ecosystem of exchange and sisterhood ignites and inspires greater enterprise and leadership, propelling women's economic empowerment and influence in ALL walks of life. WEF is the forum arm of ALL Ladies League, the Largest global women chamber in the world with our 800 chapters and having outreach to 100,000 inspiring women in 150 countries.